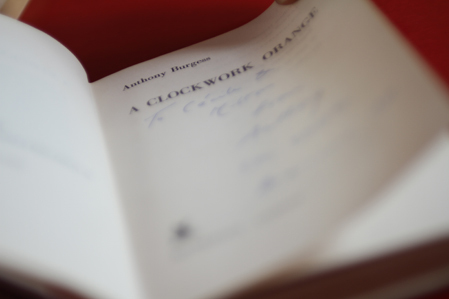 The International Anthony Burgess Foundation aims to make its collections as accessible as possible to readers, scholars, and anyone interested in the life and work of Anthony Burgess. Plan your visit here. We have embarked on an ambitous programme of conservation, cataloguing and digitisation. Parts of our collection are catalogued online and can be viewed at the Archives Hub. We have received very generous advice and support from a number of organisations, including the John Rylands Library, Chetham’s Library, North West Sound Archive and MMU Library Services. We occasionally offer opportunities for people wanting to gain experience of working with museums and archives. Please contact anna@anthonyburgess.org with your CV if you are interested in helping with our work.